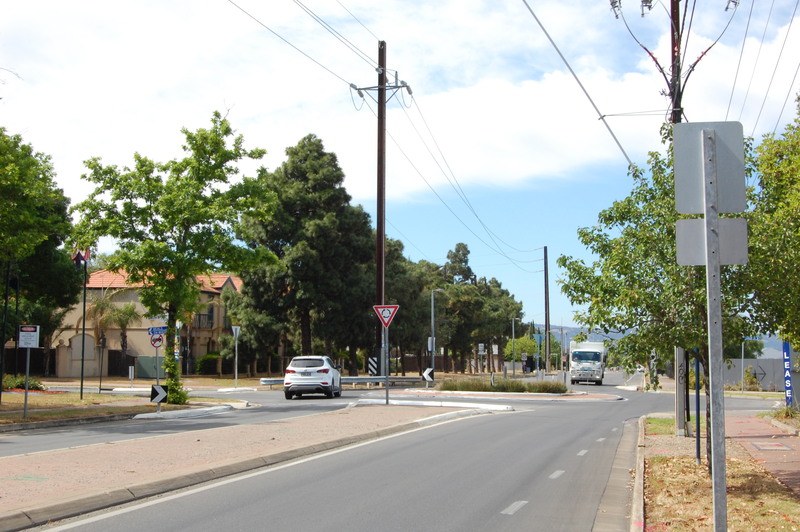 The Department of Planning, Transport & Infrastructure (DPTI) will improve safety for all road users along Fosters Road by installing a painted median scheme. The project will separate traffic, provide sheltered right turn lanes into side roads and reduce the risk of rear end collisions. This project follows consideration of the feedback DPTI received when the Draft Road Management Plan for Fosters Road was released in 2016. Installation of a painted median scheme, including right turn storage lanes. Installation of pedestrian refuges at three locations. Pavement rehabilitation between North East Road and Redward Avenue. Changing the operating hours of the bike lane on the western side to a full time bike lane (the bike lane on the eastern side will remain a morning peak bike lane). This change will result in parking being removed on the western side, and also on the eastern side where pedestrian refuges are being installed. Upgraded lighting at various locations. Modifications to the northern and southern approaches to the two roundabouts to reduce approach speeds, together with upgraded pedestrian facilities. Indentation of bus stops where possible. The project will not impact on the intersection of Fosters Road and North East Road. Community drop-in Information Sessions for this project were held at the Greenacres Library, 2 Fosters Road, Greenacres on Tuesday 4 December and Thursday 6 December 2018. Construction is scheduled to commence at the end of March 2019, with completion scheduled for June 2019, weather permitting. This $1,950,000 project is funded by DPTI’s Annual Program and Improving Critical Road Infrastructure Program. You can download a detailed project concept plan here (108MB).